A variety of different sizes of glass pearls, full of fun necklace. Just look at it to feel good mood A weight of the necklace, for your wear and wear to add a different atmosphere with the usual, highly recommended ☆ Wild pearls, suitable for all occasions. Color: gold Material L gold package Glass pearl Size: about 50 cm + buckle chain 5 cm ※ free to change the size, there is a demand, please feel free to contact the station letter, ask. ☆ Color message ☆ white White is pure, you can dye a variety of colors, the most pure color. White is clean, sublime color. Awaken pure heart, awaken your heart straightforward Not affected by the surrounding sound, a good self-preservation. Among all colors, the highest lightness white, Set off the girl's charm. ※ provide free gift packaging services. Demands, please indicate in the remarks column when ordering. Precautions before buying: ※ All products are handmade, each work is unique, regardless of color, shape, there are some differences. Please forgive me. ※ Please confirm the "Size" and "Material" of the product before buying again. If you have any questions, please feel free to contact us and ask. 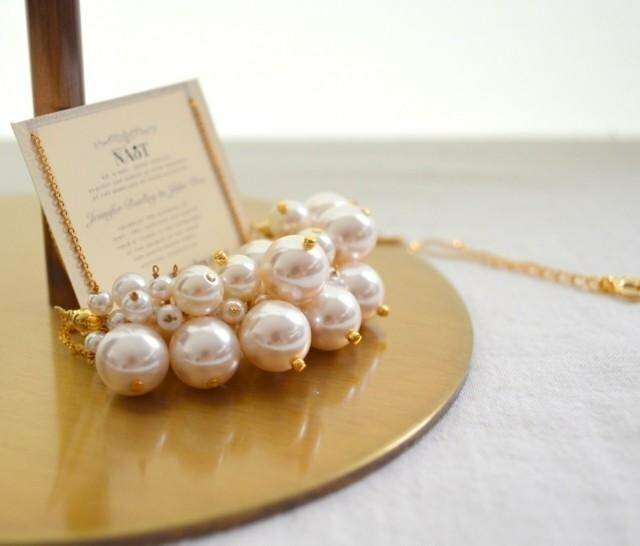 【Please note】 NAoTjewelry Japanese jewelry brand This product description is provided by Pinkoi. Products will be mailed directly by Japanese designers.